Encouraging a child to open up about their school day can sometimes be an arduous task, however getting a child to confide in you about their deepest worries and concerns is a different ball game altogether. We want to equip you with the skills and strategies to help your child have total trust in telling you what is on their minds, including any worries or fears that may be having a notable impact on their mental health. Your child's sense of belonging has a huge impact on how open they are with you. If they don't feel this belonging, it's common for children to feel shameful or embarrassed about their thoughts and actions. Being open and showing your "weaknesses" as a parent has long been seen as a negative trait. The "tough guy" parent persona has been heralded as the go-to act to help you discipline and maintain a certain level of control with your children. However, we're realising more and more that children tend to mimic this tough guy act - and in the process, and become more likely to withhold their own fears, worries, and doubts and feel shame when their identity doesn't reflect how they're holding themselves: "If mummy is perfect, I must be too." We're beginning to map out a new definition of strength in parenting. 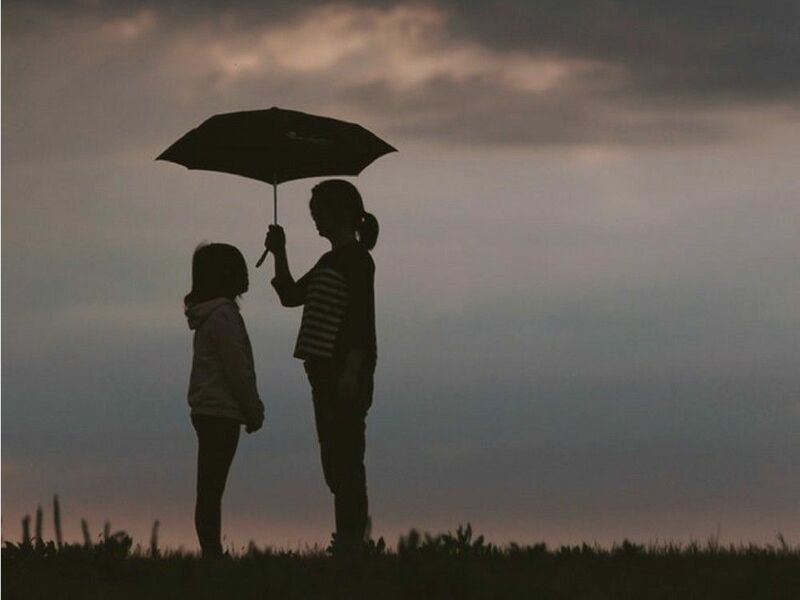 The modern-day "strong parent" is a parent brave enough to open up about their weakness in front of their children, to relate to feelings of fear and imperfection. When children fear they're weaker than you, they are far more likely to feel like they're not worthy of a connection with you. The worry here is that this can lead to feelings of shame and fear about being open with you. Embracing vulnerability is an essential step to allowing your kids to see that you're just like them. You feel like they do, you have good days, and bad days, but you also have strength from inside and outside of yourself to grow as a person every day with the support of your family and friends. Make sure you are able to practice what you preach though and try not to exhibit behaviours associated with papering over your own worries - including seeking reassurance or showing avoidance from your own fears. If you can confidently show that your thoughts and feelings don't define you as a person, you're paving the way for positive parenting. You can step off of the "perfect" adult platform though, so when your son or daughter is feeling low, they know you'll be there to listen. Listening is an art. To nail it, you have to show that you're engaged and have actually taken on board everything that has been said to satisfy the person who is speaking to you. As well as being able to relate to emotions and feelings, it's important you show your enthusiasm for your child's interests too. Many people find it difficult to engage with conversations on subjects that don't interest them. When you have a child, you really need to expand your mind and discover ways to engage with all your child's interests. Be involved in what they are interested in, allow them to speak as long as it is respectful, talk back respectfully, encourage them to ask questions, and don't be afraid to ask questions back! For example, if you've never been on YouTube in your life, but if your child spends 3 hours a day on the website, it might be worth getting to know how it works. Find out what kinds of content they love to watch so you can engage in conversations with them about it. If your child knows they can speak to you about all their interests and maintain an open, engaging conversation, you'll gain a certain level of trust to open up conversations on more difficult chats around their thoughts and emotions - including anxiety. We spoke to parents across the UK to discover places they feel their children are happiest to open up. Surprisingly, the car was at the top of the list! In hindsight, this makes a lot of sense. The car is neutral setting, where driver and passenger are at a similar physical level. Eye-contact can be quite intimidating as a child, particularly if they are worried about your reaction to what they have to say. Your focus on the road will allow your child the chance to relax and say what they feel with a little less assumed judgment. Make sure you schedule in time to spend time with your children individually and make sticking to this schedule a priority. If your child is expecting to spend time with you, but you make other plans, you'll set a negative precedent. Be creative about how you spend the time, again focussing on what you're child loves to do. If you’re intentional, you can find time for building closeness with your children so they're able to speak to you when they're feeling particularly vulnerable.